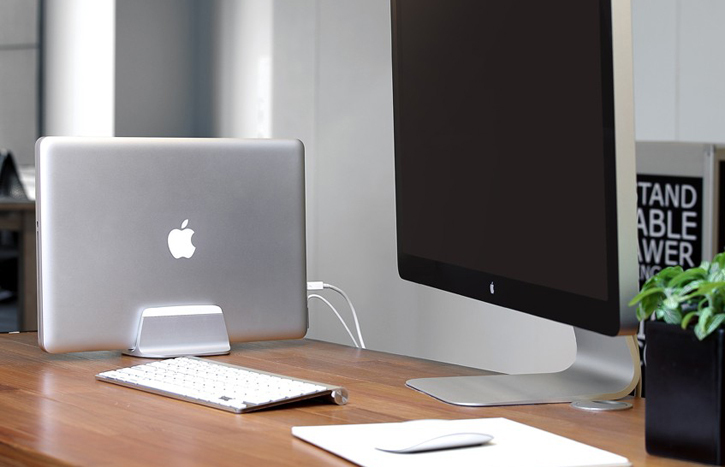 Just Mobile has released two new practical MacBook stands made of course from solid machined aluminum and boast a Danish design. 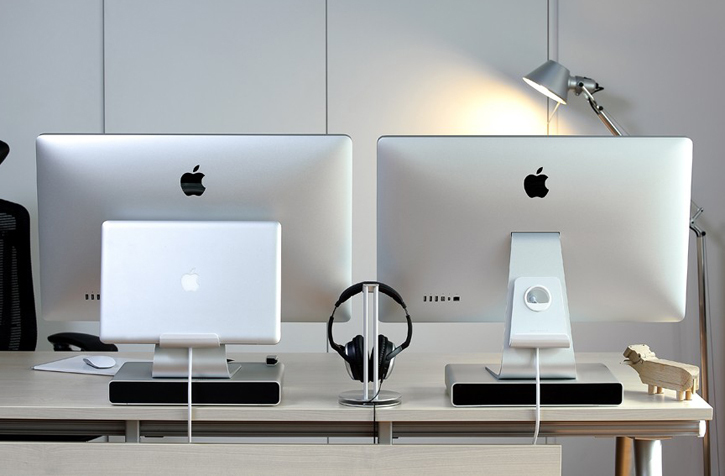 The stands look to be a take on Twelve South's iconic BookArc and BackPack 2 Mac accessories. The first is Just Mobile's AluBase, a $50 aluminum-made block which keeps an upright hold of any 11", 13" and 15" MacBook Air, MacBook Pro and Retina MacBook Pro thanks to its interchangeable rubber inserts that provide a snug and secure fit without scratching your device. 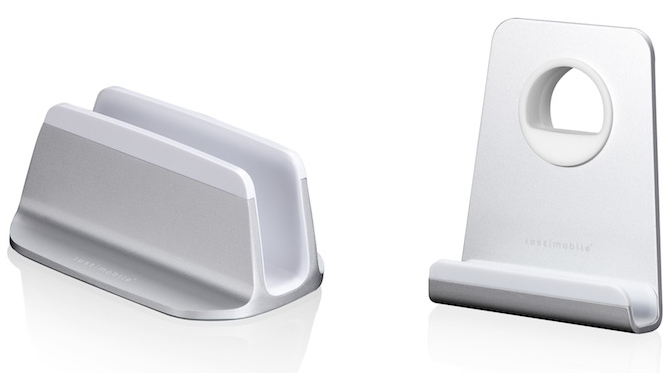 Just Mobile's $60 AluRack, is a two-piece hook-like mounting stand made from aluminum and plastic screw-in attachment that attaches onto any modern iMac, LED Cinema Display and ThunderBolt Display via the cable management hole found on the display's pedestal creating a solid shelf lined with soft plastic that lets you mount either an external hard drive or any 11", 13" and 15" MacBook Air, MacBook Pro and Retina MacBook Pro.